and flerovium-286 decaying to copernicium-282. Only three or four atoms have been detected. with a half life of less than a millisecond. could have longer half lives. This end is probably not the final end. and each could be more stable than expected. some improbabilities could become realities. 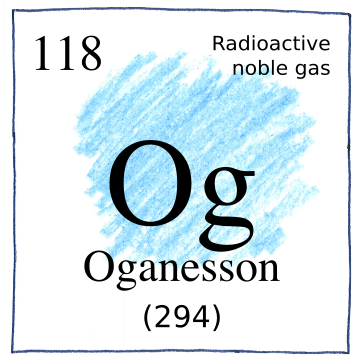 Some expect oganesson to be a gas at room temperatures, but relativistic effects might make it a solid. Before it could be proven to be a solid, its atoms would need to last long enough for two or more to be put together.